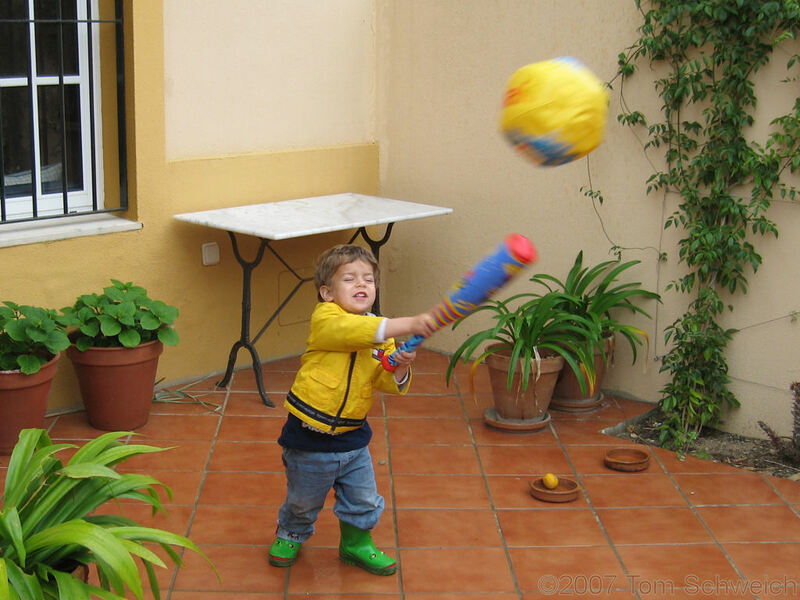 Photo: Playing baseball in the front patio. Eastern Mojave Vegetation Playing baseball in the front patio. Using the big bat, and the large soft beach ball was a great idea for teaching how to bat.